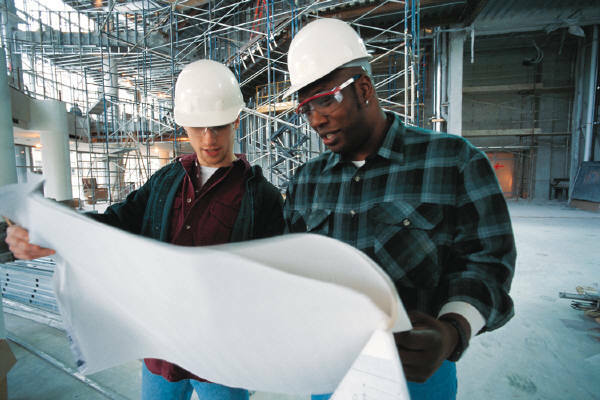 There are five steps you can take to protect your construction project. By following these steps, you can save yourself time, money and aggravation. Step 1: Decide Whether You Will Be Hiring a Contractor or Doing the Work Yourself. One of the best things you can do to protect yourself during construction is to hire a reputable contractor. A good way to find a reputable contractor is by speaking to other people. This may include people in construction, such as an architect, or co-workers and friends who may have been through similar projects. The internet is also a valuable tool. The Florida Department of Business and Professional Regulation website is a good place to check to whether a contractor is licensed. This website will also list any complaints that have been filed against the contractor. Similarly, the Better Business Bureau website also lists complaints that have been filed about the contractor. Another useful website is the county clerk’s website. By typing in your contractor’s name or his/her company’s name in the county clerk’s website, you can see if any lawsuits have been filed against them. c) building or improving commercial buildings, at a cost not to exceed $75,000, for the occupancy or use of such owners and that is not offered for sale or lease. Under this exception, proof of the sale or lease, or offering for sale or lease, of any such structure by the owner-builder within one year after project completion creates a presumption that construction was done for purposes of a sale or lease. If you have prior construction experience, you may want to consider doing your the work as an owner-builder. This option may save you money as you can do your own work, or oversee sub-contractors to finish certain parts of your project. You may also consider hiring a project manager to help you with your project. Keep in mind, however, that when you act as an “owner-builder,” you still must comply with all legal construction requirements in your area. Step 2: Negotiating the Contract With Your Contractor/Subcontractor. The scope of work section of your contract is important. In this part of the contract, make sure that every possible item that you want the contractor to accomplish is listed. If time to complete the project is a concern, make sure this in your contract. For example, if you have a store that must open by a certain date, make sure that the deadline for completion is several weeks before the store opens. Include a penalty clause if the contractor fails to meet this date. The penalty can be anything from a daily fine, or wages you must pay to employees who cannot work because your space has not been completed. Try to negotiate a contract that is performance based. You can do this by providing a small deposit to commence work, and then providing partial payments to the contractor as certain tasks are completed. This will motivate your contractor to work quicker. You will also avoid having your contractor disappear without ever completing any work. If your contract calls for partial payments before the work is completed, require the contractor to provide you with partial releases of lien covering all subcontractors and materials used to that point. You should include a paragraph in your contract that requires your contractor to list all subcontractors and suppliers who will have a contract with the contractor to provide services or materials to your project. Other clauses that you may want to incorporate in your contract are an award of attorney’s fees to the prevailing party. A way to resolve disputes should also be addressed. Going to court is not your only option. You can agree to hire a neutral third party to resolve your dispute. Nevertheless, it is advisable to have an attorney review the contract to ensure your interests are protected. Step 3: File Your Notice of Commencement. Always file a Notice of Commencement before beginning a construction or remodeling project. This places all subcontractors/suppliers on notice that you will be beginning construction, and places a time frame on when they can file a lien on your property. The local authority that issues building permits is required to provide this form. You must record the Notice of Commencement with the Clerk of the Court in the county where the project is located. Also post a certified copy at the job site, or alternatively you may post an affidavit stating that a Notice of Commencement has been recorded. Attach a copy of the Notice of Commencement to the affidavit. Note that the building department is prohibited from performing any inspection if the Notice of Commencement is not filed with the building department. Step 4: Obtain Your Permits and Schedule Your Inspections. Obtain all necessary permits. If you are performing the work as an owner-builder, your building department will be able to assist you with this process. In order for a permit to remain active, you must schedule and pass certain inspections within six months of obtaining your permits. While there are exceptions, it is important to comply with this time frame in order to keep your permit valid. If you are building a new home, office, or doing a major remodel, you must obtain a certificate of occupancy at the end of your project. Step 5: Make Sure to Obtain Releases of Lien. Anyone who has performed work or provided materials to your project may file a lien on your property. This includes contractors, laborers, materials suppliers, subcontractors and professionals, If a lien is filed against your property, your property could be sold against your will to pay for labor, materials or other services which your contractor may have failed to pay. Before you make the last payment to your contractor, obtain an affidavit from your contractor that specifies all unpaid parties who performed labor, services or provided services or materials to your project. Make sure that your contractor provides you with final releases from these parties before you make your final payment. Alternatively always require a release of lien from anyone who does work on your home. In the event that you should need help negotiating, drafting, or reviewing an agreement with a contractor, please call De Varona Law. All initial consultations are provided free of charge. De Varona Law assists individuals and businesses in Miami-Dade County, Broward, Palm Beach and Martin Counties. This entry was posted in Construction Litigation and tagged attorney's fees, contractor, mechanic's lien, property owner, release of lien by adevarona. Bookmark the permalink.